SCA NY Excelsior Corps- Looking For Veterans! The Excelsior Conservation Corps is a brand new program slated to start on January 18th in collaboration with New York Governor Andrew Cuomo and AmeriCorps. 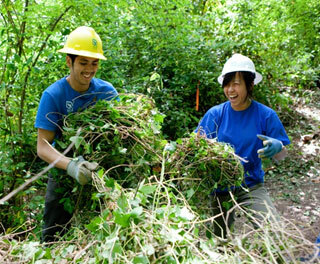 In Governor Cuomo’s 2015 State of the State Address, he proposed the creation of a modern day version of the Civilian Conservation Corps (CCC) called the Excelsior Conservation Corps (ECC) to be operated by the Student Conservation Association under the auspices of the NYS Commission on National and Community Services and in partnership with the NYS Department of Environmental Conservation (DEC, the NYS Environmental Facilities Corps (NYSEFC) and the NYS Oﬃce of Parks, Recreation and Historic Preservation (OPRHP). The ECC program will address the environmental needs of New York State, will tap into the spirit of community service among New Yorkers, and will provide an avenue for employment training and college scholarships to participants of the program. The program will enroll 50 members, ages of 18 to 25 (including vets 18-28), to volunteer 10 months of their lives to serve their country as AmeriCorps members. They will receive a small stipend, health insurance and will be eligible for a Segal education award at the end of their term of service in the amount $5,645 which they can use to pay off student loans or use towards future educational expenses. ECC will help maintain, improve and connect hundreds of miles of NYS’s premier destination hiking trails, such as sections of the Appalachian Trail, the Long Path, and the Finger Lakes Trail; and trail destinations such as Hudson Highlands State Park, Letchworth State Park, Bear Mountain State Park, the Catskill Mountains, the Adirondack Forest Preserve and wildlife management areas.. The ECC will engage in direct land stewardship to protect native species, habitats and ecosystems through invasive species mitigation and biodiversity monitoring. As a result of this work, the program will improve access to and the health of well over 200 acres per year. The ECC will work on State sustainability initiatives including energy retrofitting, recycling and green landscapes. They will help upgrade dozens of State buildings through eﬃciency measures and improve the natural landscaping in many OPRHP and DEC facilities. ECC will be deployed to update maps of NYS outdoor amenities. Hundreds of miles of backcountry trails will be added to online public maps; and State lands boundary postings will be updated. These maps are also vitally important to monitoring biodiversity and ﬂood prone areas to plan future stewardship projects aimed at invasive mitigation, plantings and storm mitigation strategies. ECC members will act as environmental ambassadors, engaging with local communities and schools across the state on the importance of environmental stewardship and conservation. ECC members will also plan and facilitate volunteer service projects that will introduce over 1,000 volunteers to natural resource management, trail repair and maintenance, habitat restoration, and general conservation stewardship efforts. Finally, ECC members will undergo basic disaster response training so they are qualified to help NY communities impacted by extreme weather events. Members of the Excelsior AmeriCorps program will use traditional trail skills, restoration techniques, carpentry skills, and hard labor to complete an array of projects aimed at protecting and enhancing the lands and cultural resources of NY State. Members also gain valuable professional connections with multiple NYS agencies, extensive technical skills, and leadership experience. Applicants must be from the state of NY, between the ages of 18 and 25 — and Veteran applicants up to age 28 — and must pass a background check. 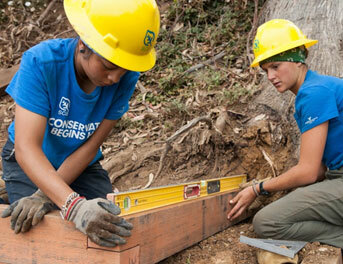 Once you have started your application contact recruiting@thesca.org to have your application fee waived.